If you want to get to the heart of Ireland, county Meath is the place. There are many ancient sights to see that can take you back, not just hundreds of years, but thousands. The Boyne Valley is the cradle of Irish civilisation, it supported a sophisticated society in Neolithic times. Newgrange, Dowth and Knowth have important Neolithic monuments and passage graves. These monuments predate the pyramids. 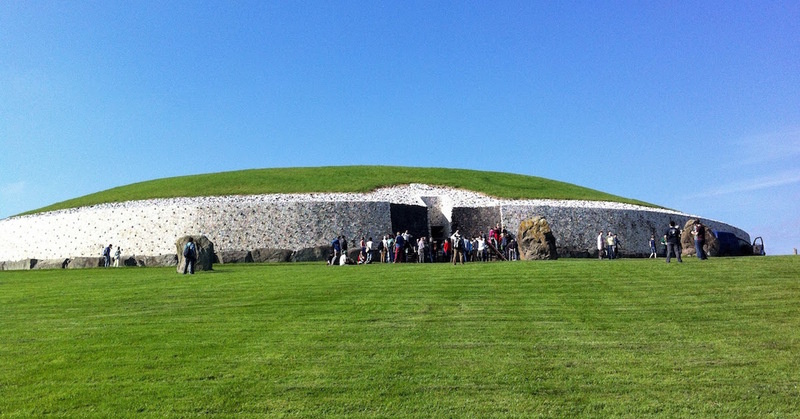 Newgrange and Knowth can be seen on tour from the Bru na Boinne Interpretive Centre. From the moment you view the grassy mounds and enter the dark tombs, you will know you are in a special place. The Hill of Tara is not far from Newgrange and also worth a visit. This is a site of mythical importance as Tara was the political and spiritual centre of Celtic Ireland and the seat of the High Kings until the 11th century. Viewing this area in an Irish mist gives you a sense of mystery and discovery. Tours from the interpretive center take in a Stone Age passage grave and Iron Age Hill Forts. From there you can see the ‘stone of destiny’—fertility symbol and inauguration stone of the High Kings. Christianity eroded the importance of Tara and a statue of St. Patrick marks that change. So much more Irish history was made in Meath. Ireland was molded by many of the happenings there. Moving into Christian times, the monastic settlement of Monasterboice is one of the most famous religious sites in the country. Just north of Drogheda the site includes a roofless round tower and 2 churches, but Monasterboice’s greatest treasure is its 10th century high cross. Muiredach’s High Cross is sculpted with biblical scenes and still remarkably preserved. While near Drogheda, students of history won’t want to miss the Battle of the Boyne Visitor Center. This historic battle ushered in total Protestant power over Ireland, sealing the country’s fate for the next 300 years. There is a historic walk mapped around the now quiet green battlefield, The Visitor Center has an audio visual show, original and replica 17th century weaponry display, laser battlefield model, Tea Pavillon and walled garden. For those that like to explore castles, not far from Navan is the dramatic Trim Castle. This castle forms the backdrop for many movies filmed here. The town of Trim is also a bustling market town. Traveling a little further southwest of Navan just outside of Mullingar is the romantic Palladian country house called Belvedere House. The house has beautiful plasterwork and interiors. The mansion is set in most picturesque grounds bordering a lake. Find the Jealous Wall and learn why it was built. If you feel like exploring an hour or so from Navan there are other adventures in store. Heading northeast of Navan is the charming town of Carlingford. It’s a lovely area to spend the day. A few kilometers north of the town is a corkscrew road to the Slieve Foye Forest Park. At the top, you are rewarded with a fantastic panoramic view over the hills and lough. The town itself is an interesting place to explore with white washed cottages, and ancient buildings cluttered around medieval alleyways. Carlingford is Ireland’s oyster capital, so don’t miss a chance to sample them. There is also a town marina and opportunities to enjoy the lough by boat. Other days out can include a visit to the town of Malahide to the south. Bordering the sea, it is a charming coastal town considered to be a most desirable place to live just north of Dublin. The town is served by Toot Train which takes you from the town to the waterfront and on to the grounds of a fairytale castle. 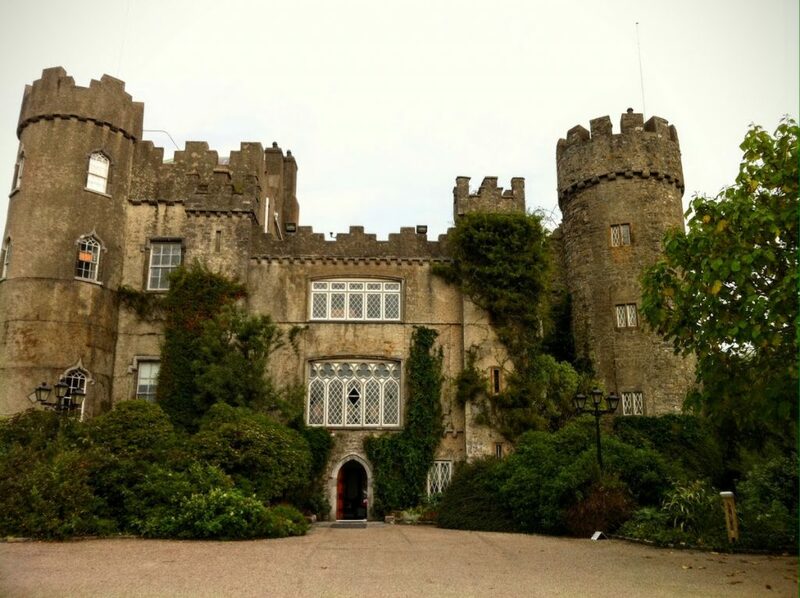 Home to the Talbot family who played an important role in Irish history, Malahide Castle is everything you want a castle to be from the turreted exterior to the sumptuous interiors. Driving to the outskirts of Dublin is only 30-40 minutes from Navan by the M3 motorway. It’s a great way to see this area without having to go into Dublin proper. Phoenix Park just west of the city is Europe’s largest enclosed park, as it is ringed by an 11 km wall. A great place to spend the day if you have young children, as there is the 3rd oldest Zoo in the world there. And for adults, accessed through Phoenix Park is the fabulous former home of the Guinness family, Farmleigh Estate, complete with Georgian mansion and conservatory, The house has an eclectic interior of Jacobean, Louis XV, Louis XVI and Georgian. The grounds abound with sunken gardens, walled gardens, fountains and a lake. A wonderful Boathouse cafe at the edge of the lake makes for a yummy and convenient spot for lunch. About 20 minutes from Phoenix Park to the east is something for garden enthusiast, the National Botanic Gardens home to over 20,000 plant species. And only 20 minutes from the gardens is another architectural gem, Marino Casino. Built in 1760 as a summer house, it is said to be one of Europe’s finest Neoclassical Temples dedicated to the arts . These two attractions may be planned as a separate day if doing them together. And if you fancy a day in Dublin City, it too is an easy reach from Navan. A short ride south will take you to the park/ride lot at Dunboyne where you can board a train and spend the day in the city without the worry of driving and parking. We took the train in and spent the day in the College Green area, lunching at the Bank Bar and Restaurant. The food was great and the venue will take your breath away, what an interior to behold! We hope this has you convinced that Meath is worth at least a week of your time. A place to make memories wherever your interest lie.